Breakdown repairs of elevators, lifts, mini lifts and other handling systems are designed to solve eventual failures and anomalies in order to restore the efficiency and safety. 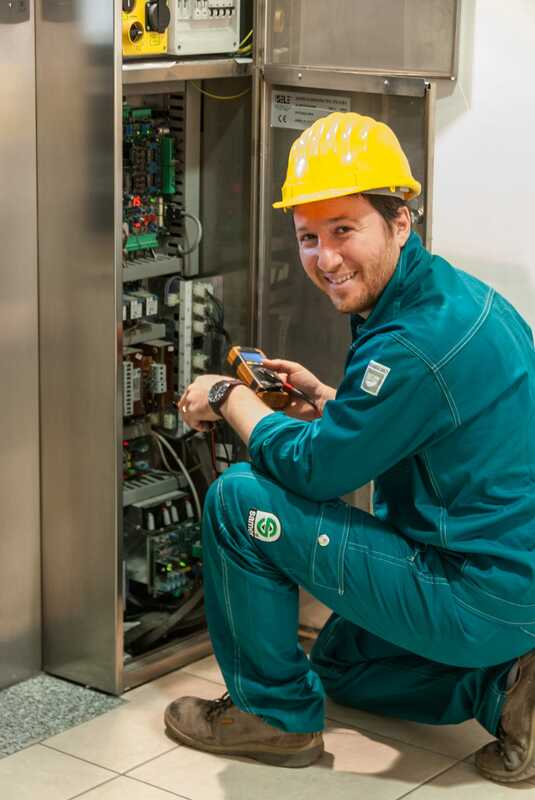 Thanks to the geographical distribution, Samer ensures immediate assistance for the repair of elevator faults in Perugia, Umbria and Tuscany, within 4 hours after the call. The Samer maintenance teams are equipped with palmtop computers and wireless printers, by which the technician can connect with the central faults and download real-time all the elevator data. Moreover, thanks to the new technologies for remote control, it’s now possible to activate on the elevation systems a remote diagnostic service, that allows people to identify any malfunctions even before they cause the system standstill. With this procedure, preventive and corrective maintenance of the elevator will always be focused and effective, allowing people to save on operating costs.